- On November 17, the Office of Nutritional Products, Labeling, and Dietary Supplements of the FDA Center for Food Safety and Applied Nutrition posted on its www site a document, titled “Health Claim Notification for Saturated Fat, Cholesterol, and Trans Fat, and Reduced Risk of Heart Disease. Recent surveys of trans fats in the diets of New Zealanders have shown that our levels of average intake are between 1.6-2.0 g/day whereas saturated fat intake is 30-35 g per day. The trans fat intake calculates to be 0.6 % energy intake which is below the WHO target of 1.0% maximum. For the analytical results of the NZ (ESR) survey of foods containing trans fats see the NZFSA website: FSANZ are due to release their full report and recommendations early in the New Year. The International Olive Council (IOC) has just announced that the Olives New Zealand Sensory Panel has been accredited for 2006 / 2007. “The panel first gained accreditation in December 2005 and to maintain it is a major achievement given that there are only 35 accredited panels in the world” says Margaret Edwards the leader of the Panel. 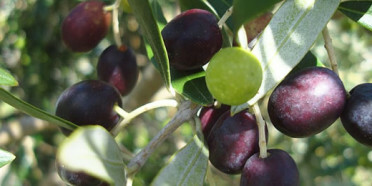 “Gaining accreditation is a major milestone in the development of the New Zealand olive oil industry” says Alastair Bridge, Executive Officer of Olives New Zealand. With many winning gold medals in our national Awards which are judged to strict international standards. We have also won our fair share of top awards at the Los Angeles County Fair. However New Zealand oils have not had such good recognition from Europe although Serendipity and Moutere Grove have won awards in the past year or two. It is therefore fantastic news that an oil from The Waiheke Olive Oil Co, owned by John and Margaret Edwards (Oils and Fats Group members), has been chosen as one of the top 15 olive oils in the world in the “Guide Extravergine 2007” in Italy. For those interested, the Chairman of the group has just published a short article on optimum processing in the December issue of The Orchardist. A recent study has shown that adding about 40g of walnuts to a high-fat meal reversed the endothelial dysfunction normally encountered after consuming such a meal. Note that walnuts should be fresh and not the usual rancid ones found in the bulk bins, imported from overseas markets. See Lipid Technology December 2006, p 285. New Zealand green lipped mussels, marketed under the Greenshell mussels trade name, should be harvested in spring for optimal omega-3 content, scientists have reported. The new research, published in the journal Aquaculture (Vol. 261, pp. 430-439), looked at the omega-3 content of the mussels and found that the commercially important omega-3s, DHA and EPA, made up about 75 per cent of the total polyunsaturated fatty acid (PUFA) content of the mussels. During the winter months the omega-3 content decreased, report the authors, Alexandra Taylor and Candida Savage, probably linked to a decrease in the PUFA-rich phytoplankton as food. Fears about dwindling fish stocks, coupled with the putative risk of pollutants from oily fish, have pushed some in academia and industry to investigate the extraction of omega-3 from alternative sources. “While the total lipid content of the GLM is relatively low compared to some fish species, the n-3 fatty acid content (15-22 weight per cent of oil) is particularly high for shellfish. Therefore they provide an excellent and sustainable source of omega-3 while fish stocks are experiencing significant declines,” Dr. Savage has reported. This was held on 16th November at the Bruce Mason centre and was judged to be a great success by the 190 delegates who attended the one day event. There were prizes awarded on the day to the best student poster papers. The winners were Shaoyuan (Sally) Xiong, Lily Chen and Kathrin Stahler. The group intends to make a practice of student awards and is also going to make available travel funding for overseas lipid conferences on an annual basis. The plenary paper by Professor Sean Strain had some very significant conclusions about the benefits of fish consumption whereby the studies showed that the beneficial effects of omga-3 in fish outweighed any potential deleterious effects form the trace amounts of mercury in the fish consumed. This seminar held at Food Science Australia in Werribee, was also a great success with ground-breaking science in lipids being reported. The abstracts will be published in due course in Food Australia. Two new food standards from FSANZ are now law. The first standard will allow Australians and New Zealanders to have access to a range of foods enriched with plant sterols. The second standard will allow manufacturers to make formulated beverages in Australia, not just New Zealand. Christopher Pyne, Parliamentary Secretary to the Minster for Health and Ageing, said that the new standards were excellent examples of allowing the food industry to be innovative while also protecting public health and safety. ‘Plant sterols can reduce cholesterol uptake when eaten in sufficient amounts. Until now, plant sterols have only been allowed for use in margarines. Food Standards Australia New Zealand (FSANZ) has carried out an extensive safety assessment and, from today, plant sterols are also allowed to be added to low fat milks, low fat yoghurts and breakfast cereals. these types of products are already permitted for use in Europe and North America,’ Mr. Pyne said. ‘FSANZ’s consumer research found that most consumers of plant sterol products are health conscious adults who choose foods with a health benefit in mind and as part of a healthy lifestyle. Plant sterol products must carry advisory statements that they should be consumed as part of a healthy diet and that they are not suitable for children under 5 years or pregnant or lactating women. Plant sterols do not provide additional benefits when more than 3 grams a day are consumed. Following the success of this refined oil sales in supermarkets, margarine has been launched. Manufactured in Thailand it is sold here in an eye catching, but expensive sleeved twin-pack. The product is just typical in its nutritional properties of many spreads on the market today but is very aggressive in its claims. Refining and the composition of rice bran oil are reviewed in the December issue of Lipid Technology. Planning is well under way by the group to launch this publication in late May 2007. The purchase price will be around $130.